58 pattern metal 'dog' clip on MOLLE T Bar. Kit Monster Exclusive, until someone sees this and decides to rip off our design idea. Remember, you saw it here first. Genuine issue clip sewn onto a T bar strap in genuine MTP. Swift and simple method of fitting a helmet clip to your MOLLE kit. 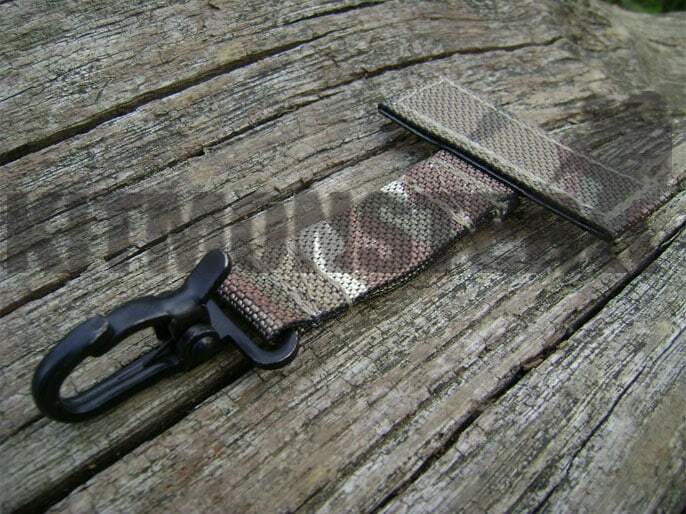 We recommend fitting this with the T bar running up through your MOLLE straps, as shown in the second image, allowing the clip to hang over the MOLLE or pouches. 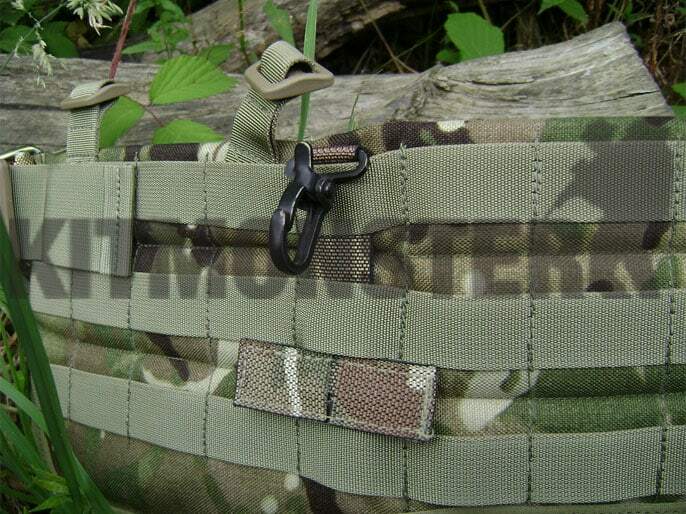 With care MOLLE pouches can still be fitted in the same straps as this t bar. Please note the clip is 33mm wide and 20mm deep and may not fit all MOLLE platforms, these easily fit our AAMBeR Belt pads as shown, but do not fit on Osprey covers. Multiple views shown, single T Bar Clip supplied. 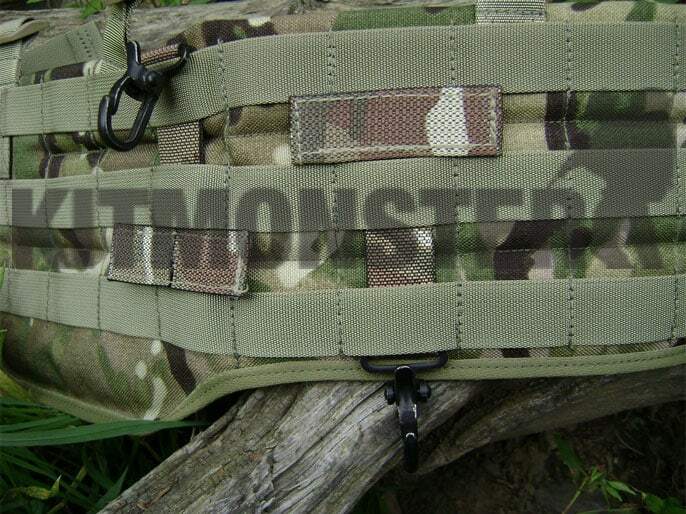 MOLLE Belt for illustration only, this is not included.